Lend us your support in making International Yoga Day into a major offering of yoga. It takes only one click. June 21 is the International Day of Yoga. It is Sadhguru’s vision to make this day into a major offering of yoga – to create a possibility for people of all age groups, religions, nationalities and social backgrounds to experience meditativeness, expanding their perception of life from individuality to universality. We request you to lend us your support in this earnest endeavor. It takes only one click. 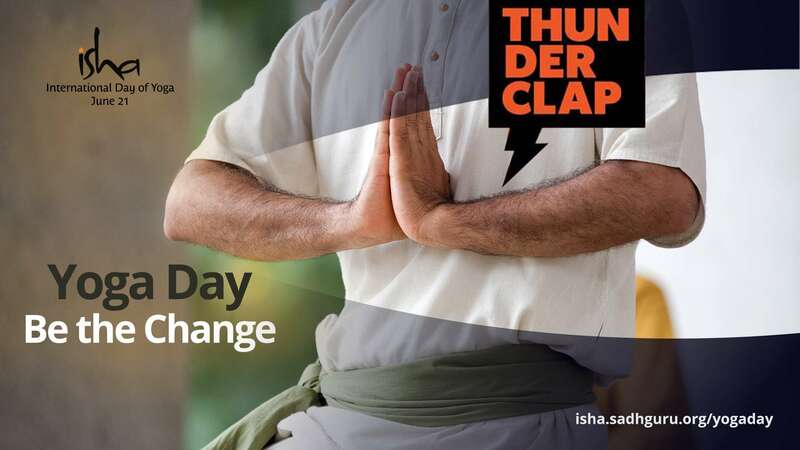 If enough people support our project, Thunderclap will simultaneously trigger a Facebook Post or Tweet on June 21, to the fans and followers of all our Thunderclap supporters, creating a wave of attention. Join us and add your voice. Isha’s flagship Inner Engineering (IE) Program will be held in Kathmandu, Nepal from April 28 to May 4, at the Annapurna Hotel.